They scored once again with these football foods and wine pairings. I’m sure these would all be great with beer, but that’s not my thing, so this is especially poignant for me. Especially since I’ll be spending the bulk of my sportsball-watching at home, in front of the TV with my little guy. Don’t nachos and malbec sound delightful right now?! Happy drinking and go Huskies, Broncos and Seahawks! 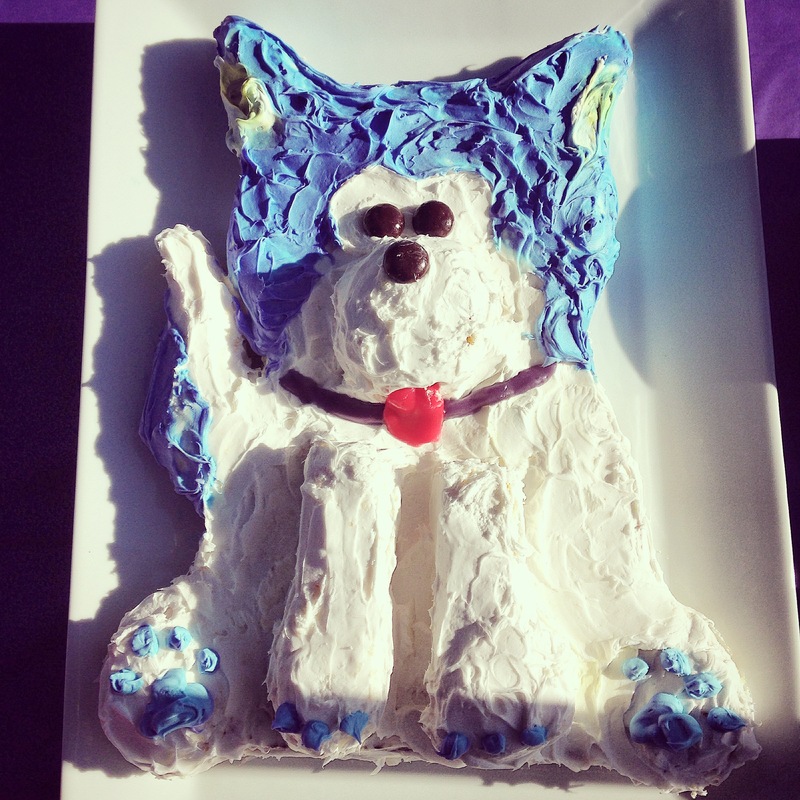 I kept a lot of you in the loop via Facebook and Instagram but for those of you who only follow me here, I wanted to show off this year’s tailgating feat: My husky cake! 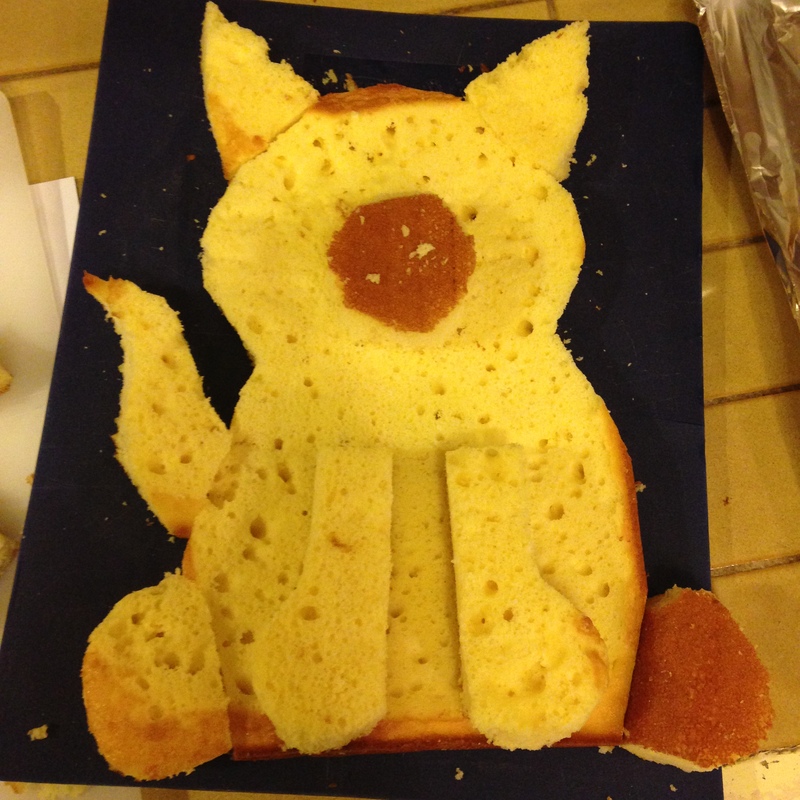 And now it’s a Bruin cake! 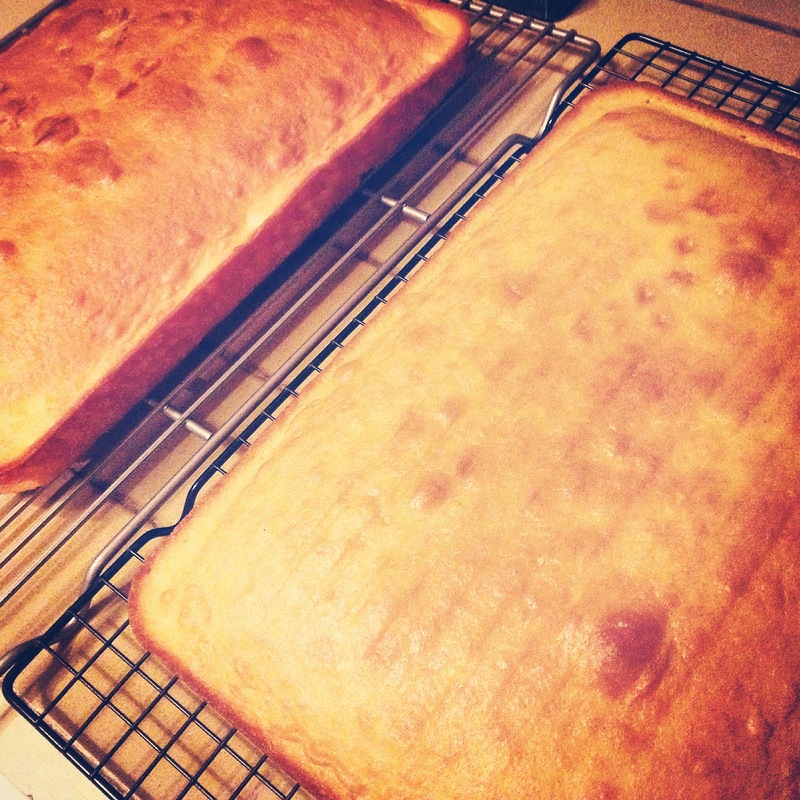 This was the goal cake and I followed the instructions very closely. Unfortunately I didn’t have a large enough plate, so I had to freehand the shape, hence the squatty pup. 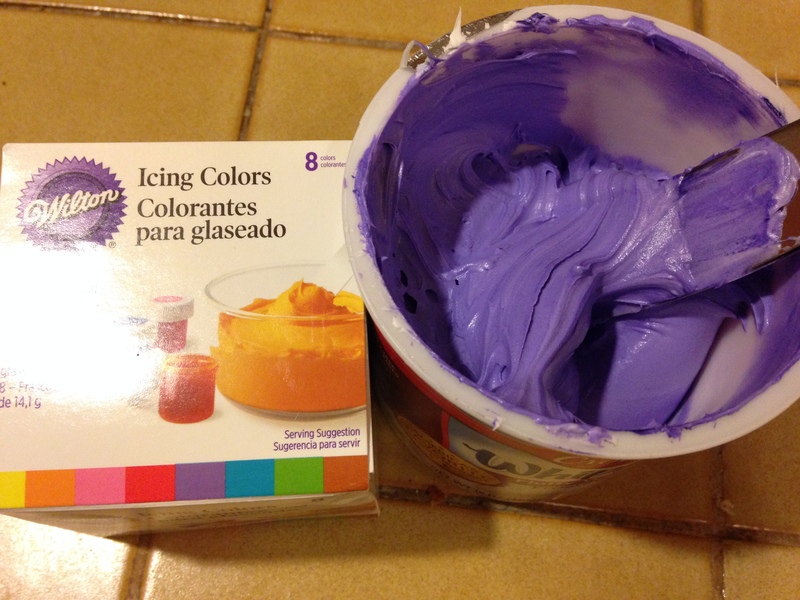 Frosting, I mean glue, I mean frosting! 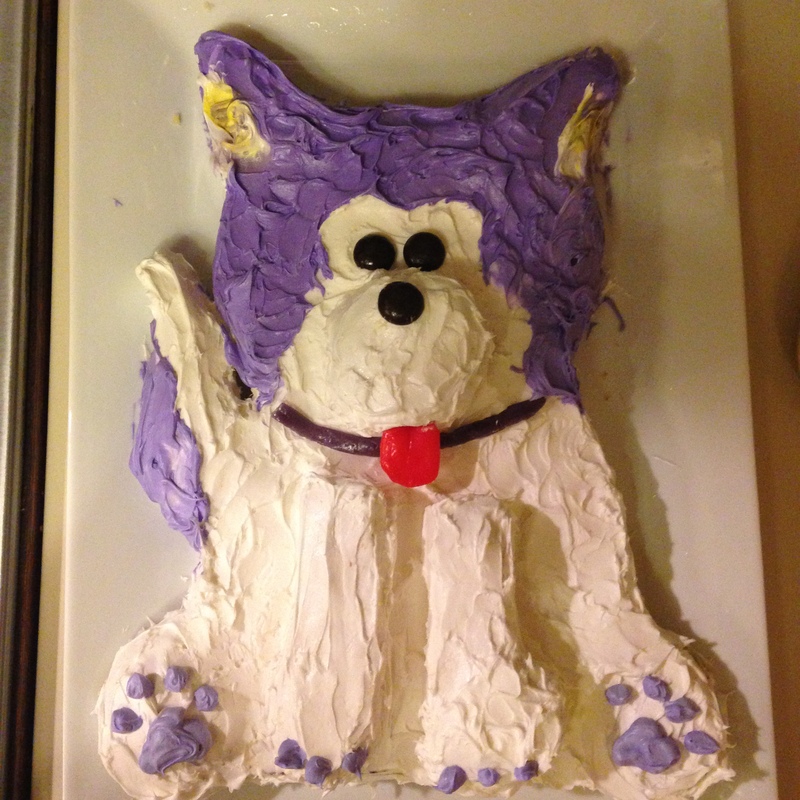 Huskies cake: assembled but not frosted! It’s 3-D! 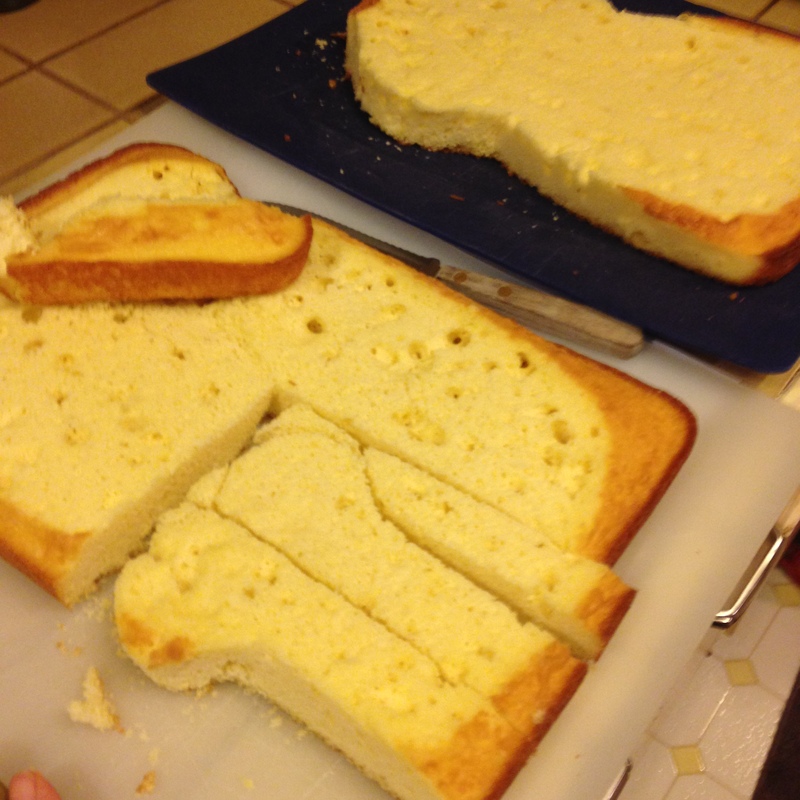 Might I suggest you try making this cake for the Cactus Bowl on January 2? Gooooo Huskies! 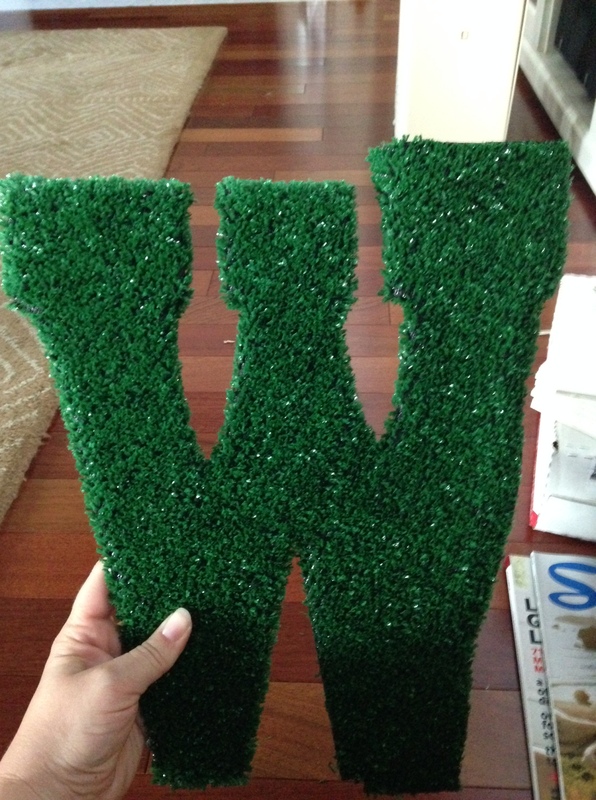 One of my most favorite crafts to date: An AstroTurf W! My dear old glue gun made it halfway through this very special project. I wanted to finish it so badly that after the literal glue gun explosion, we rushed to Lowe’s to pick up a new one. 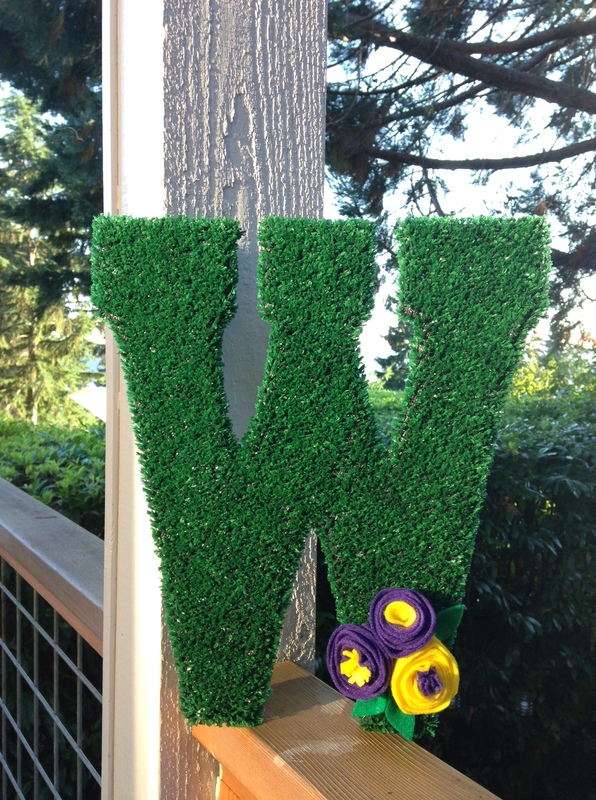 I started with this “W” letter from JoAnn’s. It runs $2.99 and stands 9.5″ tall. Perfect. And, you can use this technique for just about any letter or number combination. You’ll also need that giant roll of AstroTurf that I convinced you to buy a couple of months ago. 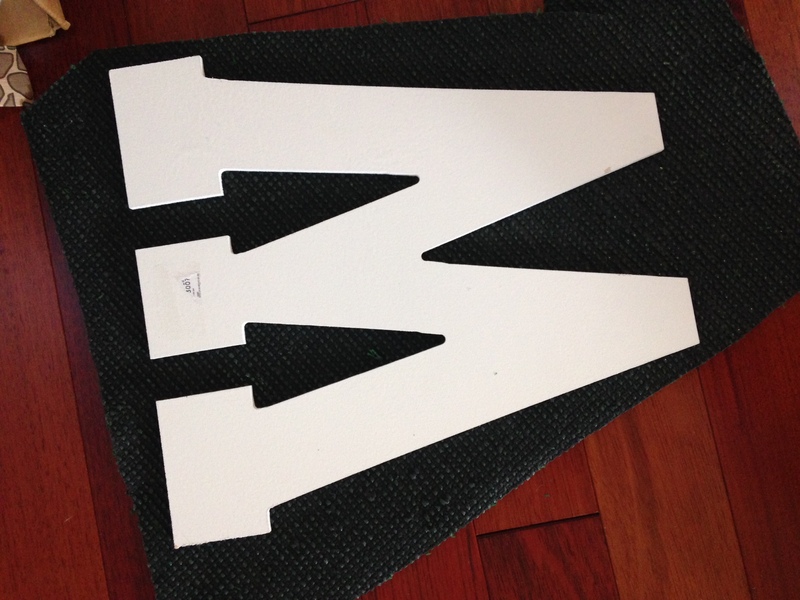 I flipped the AstroTurf over and traced my letter, leaving about an inch of overhang. From there, cut it out and get that glue gun ready. 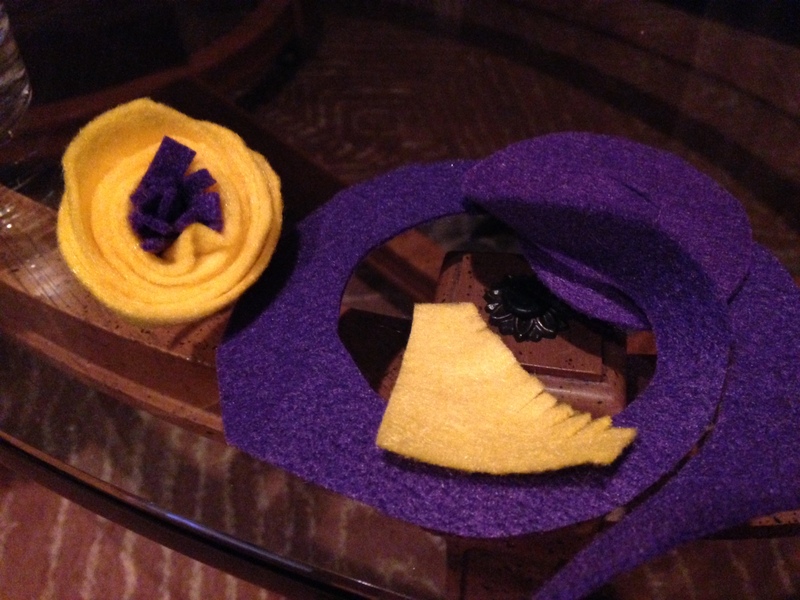 What I didn’t do on my first go-around and will do in the future– and you SHOULD do your first time, add a wire or a tie of some sort toward the middle of your “wreath” before you glue on the facing layer of AstroTurf. Start gluing. It’s important to go from one side to the other of the facing of the letter and to go with quick speed, since hot glue dries pretty quickly. Specifically, I glued in three main sections (left, right, middle), one section at a time. First, the fully covered “front” side, then I wrapped the overhang around the back, being very careful not to burn myself. On the backside, I pulled the turf tight and added cuts with the X-acto knife as needed. Anyway, happy Purple Friday and GO HUSKIES!